The UK’s Department for International Development (DFID) makes funds available to the British High Commission for small projects of developmental value. This fund is called the Small Grants Scheme (SGS). The British High Commission in Delhi administers SGS (For all States except those mentioned below), and our Deputy High Commission (BDHC) in Kolkata administers for West Bengal, Chennai for Tamil Nadu and Mumbai for Maharashtra, Gujarat and Goa respectively. To reduce poverty within a sustainable development framework by supplementing large projects or fully supporting small project. To encourage projects that aim to spread best practice among communities. To maintain emphasis on capacity building through training, workshops etc so as to provide lasting benefits for the community. Sound policies and pro-poor economic growth; The development of efficient and well regulated markets; Access of poor people to land, resources and markets; Good governance and the realization of human rights; The prevention and resolution of conflicts; The removal of gender discrimination. Under the Small Grants Scheme, grants can be made to organisations or institutions to assist projects whose primary purpose must always be developmental. The projects should also address at least one of DFID’s above mentioned objectives. Project support will usually be for one year. In exceptional cases, funding can extend up to a maximum of three years. In any case the project should aim to become self-financing after the funding has ended in order to ensure programme sustainability. 1. Please note that the recipient organisation is required to make a contribution of at least 10% to the overall project costs. 2. We prefer to fund projects, which have a capacity building/training element We prefer not to fund recurring costs, such as administrative salaries and rent. We do not fund purchase of vehicles, construction activity and capital or infrastructure projects. 3. Recipients must refer to us for any changes in the use of grant expenditure, should it exceed 10% of the total project budget. 4. Organisations must submit half yearly progress reports on projects. 5. The Maximum yearly funding available is ht20,000 ht25,0000 but each year we will be looking for a range of different projects of varying sizes. vi) Banking details (name & address of bank, account number, in whose name cheque/demand draft has to be drawn). ii) Number of cities/districts/villages covered. iii) Total population directly benefiting by the activities of the organisation. iv) Problem/s proposed project will address. v) Give details of any ‘need assessment’ done in the area before deciding on the project. vi) Who else will be affected by the project ? E.g. in the case of a project for street children, then are the police, employers, family members, etc. also affected ? vii) Project activities planned to address the above problem/s listed at 4 (iv). viii) Inputs (for each of the above mentioned activity). ix) Outputs (for each of the project activities). 3. Non-formal education programme No. of children who understand currency etc. How will the activities be sustained after BHC support for the project has been completed ? Give details of plans for programme, finance and human resource sustainability. Have you previously received funding from the British High Commission ? If yes, please give details. Does your organisation have I inks with Britain ? e) The NGO’s most recent Annual Report. NGOs applying for funds to the British High Commission are expected to submit a reference letter from a known source like the British Council Division, British NGOs the DFID Field Management Offices, or from any other donor agency which has funded them in the past. 1. Name of the Agency providing the reference : …………………………..
7. 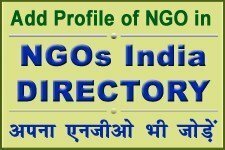 What has been your experience with the NGO ? 9. 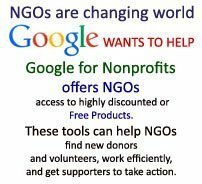 Would you recommend support to the NGO ? We place emphasis on sustainability. Our aim is to support projects in which the NGO seeks to hand over vital elements of the project to the community by the time we withdraw our support. Applications (with supporting documents) for the following financial •Year must reach us by 30 September. In February and March we appraise short-listed projects. By 31 Marth we inform successful organisations of our support. We generally support one-year projects, but will consider up to three years in exceptional cases. We currently support projects ranging in value from Rs. 7 lakh to Rs. 12 lakh. • Have FCRA and include letters of reference from other known international organisations that have supported them in the past. • Have proven experience in the project area at field level. • Show clear inputs and measurable outputs/outcomes (e.g. nos. of children rehabilitated, no. of women’s group formed etc.). • Not have been supported by the BHC within the previous three years. • The Project Panel comprises cross departmental BHC staff, empowered to both advise and sanction, and is designed to ensure transparency and accountability. • The financial year runs from I April to 31 Marth.